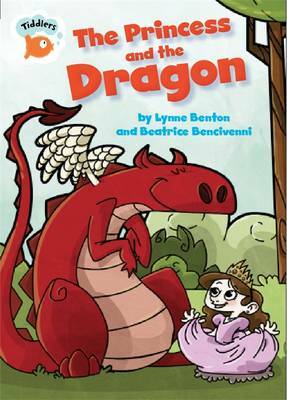 The princess has a very unusual best friend ...a fire-breathing dragon! A Prince passing by stops to rescue the princess but soon realises he is not needed! The Tiddlers series features fun stories with a word count of fewer than 50 words for children who are just starting to read. A word list at the beginning of the story allows for a quick check of the reader's ability to read and understand words before reading, and a puzzle at the end of the story encourages rereading for pleasure.